I don’t know what the weather is like in your part of the country, but here in Sydney it is cold and wet, the sun rises late and sets early. Uggh! The only good news is that all the extra hours indoors mean more reading time. 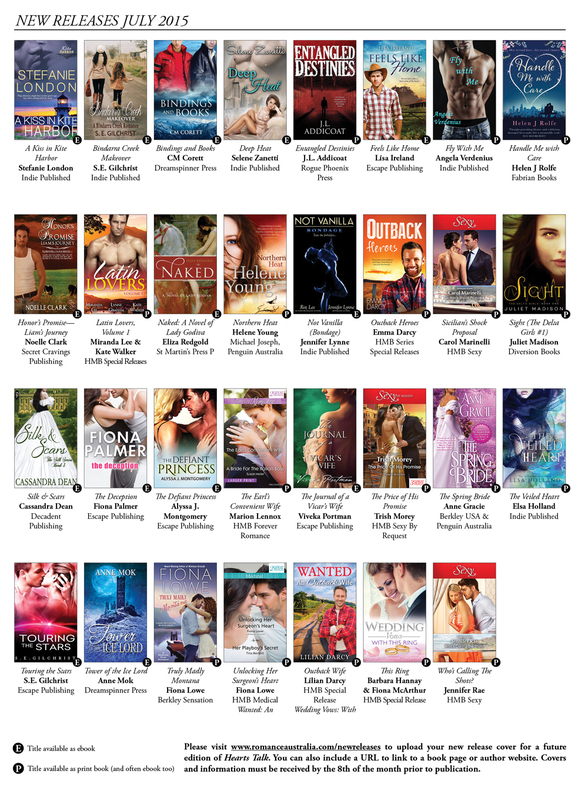 Here are the new books from our members. As always, there is something for everyone. Browse and enjoy. Welcome to the third in a series of special guest interviews with authors who received a publishing contract after pitching their manuscript at an RWA conference. I hope these interviews motivate and inspire you with the knowledge that pitching appointments can and do lead to publication! 1. Congratulations on receiving a publishing contract! Which conference did you pitch at and had you ever pitched before? Thank You. I pitched Brumby’s Run at the 2011 RWA Conference in Melbourne, and no, I had never pitched before. 2. What was going through your mind before the pitch, and afterwards did you feel it had been a success? I was absolutely terrified, much more nervous than I expected to be. But I had learned my pitch ad nauseum, so I didn’t really have to think about it too much. I pitched to Belinda Byrne of Penguin. She was so lovely, and did all she could to put me at my ease. Best of all, she asked for my full manuscript, so I felt the pitch had gone well. 3. How long did it take to hear back after your submission? What was the next step? Belinda Byrne contacted me via email even before she’d finished reading, about three weeks after the August conference. Her comments were encouraging. Belinda rang to organise a meeting halfway through September, and by October I had a contract to publish Brumby’s Run. 4. After submitting your full manuscript, did you get a call with an offer of publication, or did you have to make changes to your manuscript first? In October 2011 I received an email titled Penguin Letter of Offer for Brumby’s Run. This was based on the original manuscript that I’d pitched at the August RWA Conference. During my earlier meeting with Belinda Byrne however, she’d asked me how I felt about editing. She’d explained that she had some problems with the ending, feeling it had been rushed (which was true!) I told her that I would look forward to working with an experienced editor to improve my manuscript. 5. How did it feel when you received an offer of publication? I literally couldn’t believe it. I printed the letter of offer and carried it around with me for weeks, checking occasionally to see if it was real. Brumby’s Run was published in July, in time for the 2012 RWA Conference, but sometimes I still think it was all a dream. 6. Do you have any advice for writers who are thinking of pitching at the next conference, or for writers who have already pitched and are anxiously awaiting the results after sending in their submissions? Firstly, make it easy for the publisher or agent by categorising your book for them. – i.e. 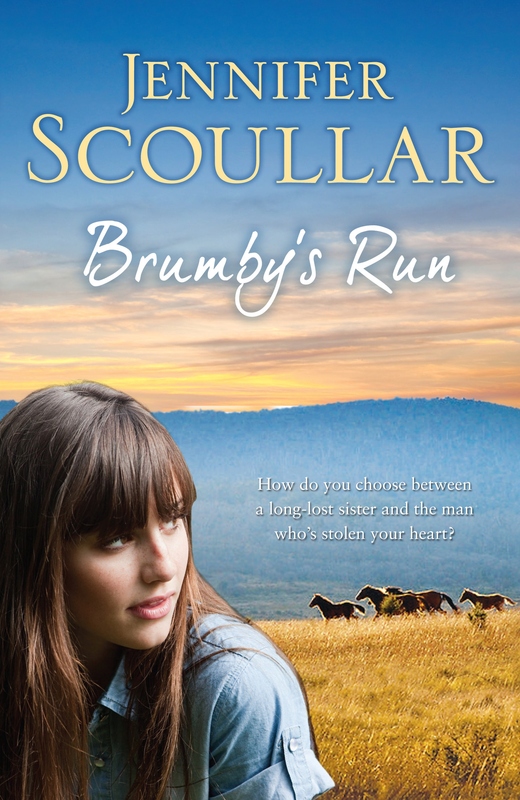 Brumby’s Run is a 90,000 word contemporary rural romance set in Victoria’s beautiful upper Murray region. Then tell them briefly what your story is about. – i.e. Samantha Carmichael is a spoilt city girl who wants to build a new future high in the Victorian alps, even if it means stealing her sister’s life. Only then should you give the longer version, no more than a few hundred words. Remember that you might be asked questions. My other tip is to practice your pitch, until it becomes automatic. Then if your nerves fail, you are more likely to remember it, and not ramble on describing your whole plot. There’s no time for that. If you’ve already pitched and haven’t heard, I think it’s fine to send an email reminder after a few weeks. If a publisher or agent shows interest, indicate that you welcome editing, and will be easy to work with. 7. Which book got published as a result of your conference pitch? Can you give us a brief blurb? A blissful carefree summer beckons for Samantha Carmichael. But her world is turned on its head when she learns she’s adopted – and that she has a twin sister, Charlie, who is critically ill. While Charlie recovers in hospital, Sam offers to look after Brumby’s Run, her sister’s home high in the Victorian Alps. Within days city girl Sam finds herself breaking brumbies and running cattle with the help of handsome neighbour Drew Chandler, her sister’s erstwhile boyfriend. A daunting challenge soon becomes a wholehearted tree change as Sam begins to fall in love with Brumby’s Run – and with Drew. But what will happen when Charlie comes back to claim what is rightfully hers? Set among the hauntingly beautiful ghost gums and wild horses of the high country, Brumby’s Run is a heartfelt, romantic novel about families and secrets, love and envy and, most especially, the bonds of sisterhood. Thanks for sharing your experience with us today! You can visit Jennifer online at her website, Facebook, and Twitter. 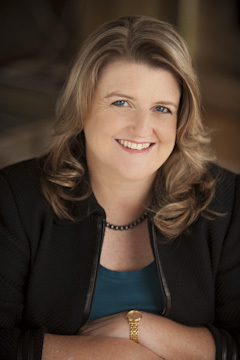 Today on a Day in the Writing Life we welcome, Cathryn Hein, who writes Australian romantic fiction. Over to Cathryn. Hi everyone and thanks for hosting me on the blog today. What time of the day do you write? Definitely morning. I usually start around 7am and work until around 3pm, but I’m most productive first thing. Everything feels fresher in the morning. Are you a plotter / planner or a pantser? I started out as a complete pantser but with each book I’ve refined the process and now plot quite a bit. I don’t plot everything out, though. I find the thrill of discovery keeps the excitement going. Although I’ve tried to break the habit I can’t stop editing as I write. It’s as if I can’t move on until the previous chapter is as perfect as I can make it at that point in time. The upside of the system is that my first drafts are extremely clean and usually only need a light run through to fix niggly things before they’re ready to send. The downside is that it’s not a very efficient way to work. At least, it doesn’t seem to be. Do you use whiteboards, posters, visual aids to help in your creativity? I would be lost without my whiteboards. I have three, each with a specific purpose, but the most important is my cheat-sheet whiteboard. It has all the characters listed with a brief description of each, plus animal and place names and anything important about them. It also tends to get smothered in sticky-note edit reminders and comments. I also have my precious ‘bibles’ which are 120 page A4-sized notebooks containing all my plot and brainstorming notes, scene drafts, research, title and character names, family trees, pictures of characters and scenery – anything and everything to do with the book. Usually by the time I finish writing I’ll have filled at least two of these. Do you give yourself any writing rewards for achieving goals? Not usually. Although there’s an expensive bottle of champagne sitting in my fridge ready for when I finally hit ‘send’ on my current book. I’ll have earned that! Do you take time out to stretch, rest your eyes etc and if so do you do any exercises at your desk or between sessions? Not as much as I should and I’ve had days where I’ve paid for my laxity with severe eye and/or wrist strain. But I did recently purchase some tennis balls to bounce around while brainstorming. This may yet prove a mistake. I’m pretty uncoordinated and bound to break something. Can you name five objects that are always on or near your work desk while you write? A glass of water. My Macquarie dictionary. A pencil. My diary. Sticky-note pads. 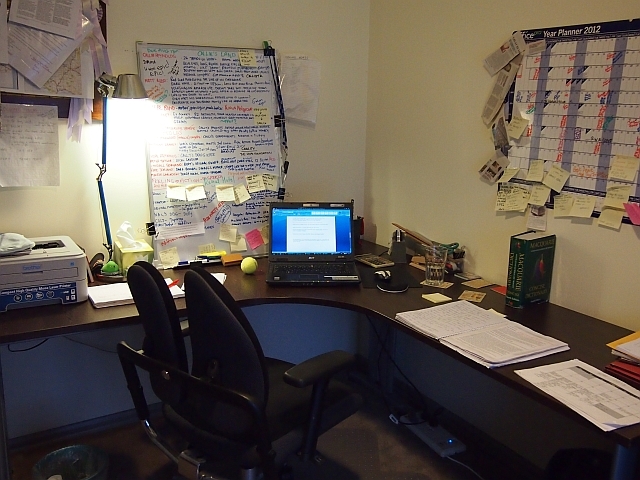 Is your writing space messy, organized or somewhere in between? In between. There are some days when it’s calm, some days when it’s chaos. The closer I am to finishing a manuscript the worse it gets. What is your favourite form of procrastination? Spider Solitaire! I can really zone out on that. I also like to flick through cookbooks pretending that I’m looking for dinner inspiration when really I’m just delaying knuckling down to work. 1/. I make lists (with wordcount at #1) and tick off jobs when they’re done. There’s something really satisfying about seeing a list with every item crossed out. 2/. Close all unnecessary programs. If I can’t see it, it can’t distract me. What’s the last thing do you do before you finish your daily writing session? Backup my files to multiple locations. The idea of losing work gives me the heebie-jeebies! Thanks for having me on A Day In The Writing Life. That was fun! For more information about Cathryn and her books, please visit her website : http://www.cathrynhein.com/ You can also connect via Facebook and Twitter. 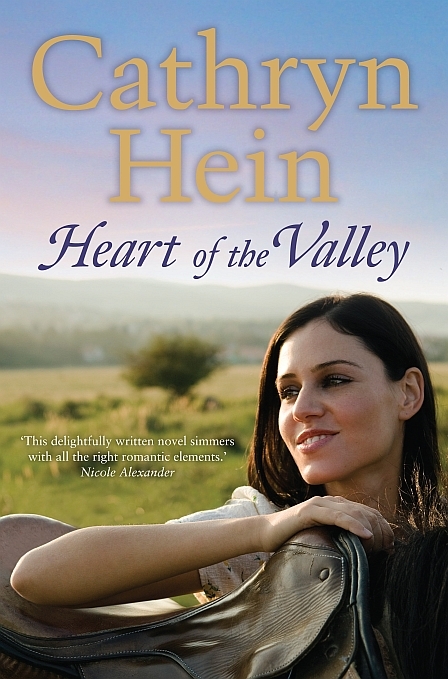 Cathryn’s latest release is Heart of the Valley. Out now from Penguin Australia. Thank you very much for sharing a day in your writing life, Cathryn. We wish you all the best with your new release.